The Lennon Trophy is awarded to the winner of the Senior Division Championship Game. 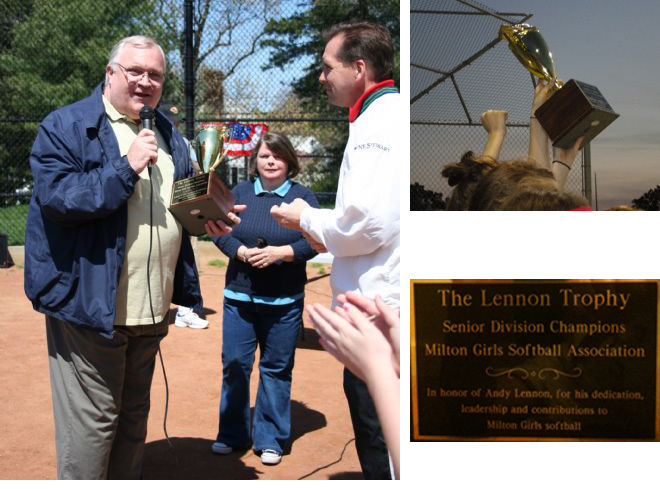 In 2010, the Senior Division Championship Trophy was named the Lennon Championship Trophy recognizing Andy and Jane Lennon's many years of service and dedication running the Milton Girls Softball Association. The engraving reads: "In honor of Andy Lennon, for his dedication, leadership and contribution to Milton Girls Softball." The trophy is passed on from the previous year's champion to this year's champion. See a list of past champions.